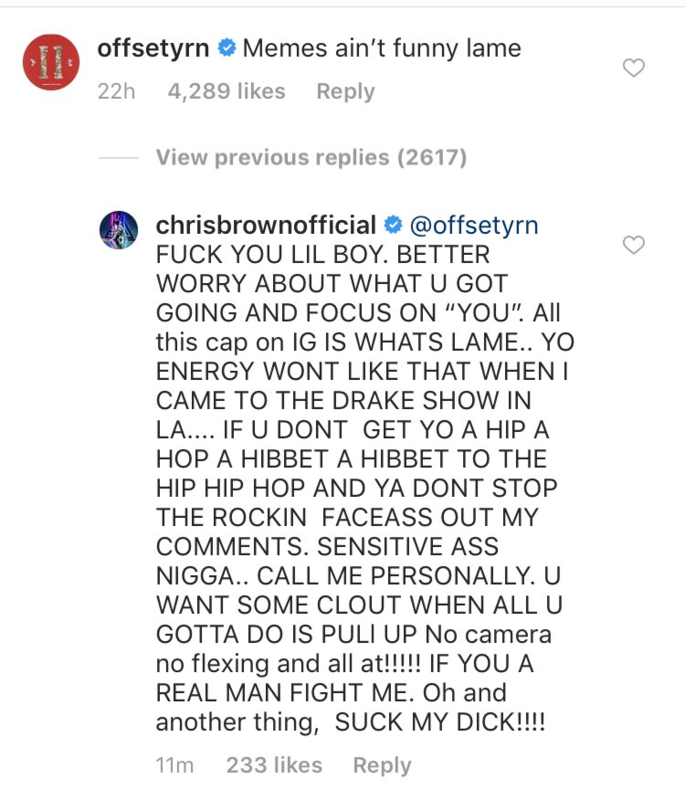 Offset Insults Chris Brown. Chris Brown goes OFF & Tells him to pull up and Fight. 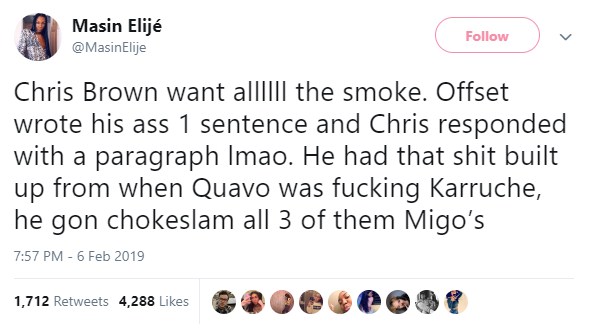 Offset went off on Chris Brown and it may lead to a fight. The community stopped making 21 Savage jokes the second day to get serious about 21 Savages situation and about the deportation. 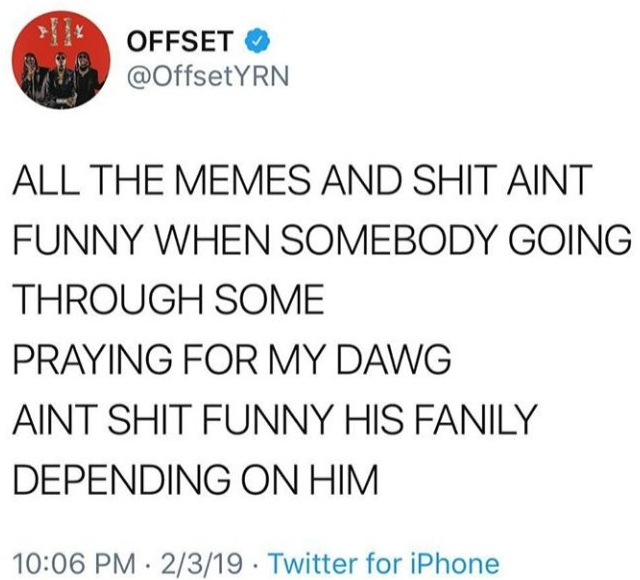 Offset actually started protecting 21 Savage from day one and saying the jokes about him were lame. Floyd Mayweather and Manny Pacquiao announce New Fight. Mayweather coming out of retirement. Cartoonist Mark Knight releases Racist Cartoon of Serena Williams depicting her as a sore loser. JK Rowling and others attack him for the racism.